Hepatitis C is a contagious viral infection caused by the hepatitis C virus. It primarily affects the liver and can lead to severe damage if left untreated. In this condition, there are no visible symptoms until there is a considerable damage to the liver. The hepatitis C virus can cause both acute and chronic infection. Long-term infection with the hepatitis C virus is known as chronic hepatitis C. In case of chronic hepatitis C, the symptoms can be silent for years until the liver has been significantly damaged. Every case of Hepatitis C starts with an acute infection which can remain silent and undiagnosed until evolving to the chronic stage. However, not all cases of acute HCV will evolve into chronic HCV. Cirrhosis – If hepatitis C is left untreated for years, it can cause scarring of the liver which can ultimately lead to cirrhosis. Liver Cancer – Some considerable number of people may develop liver cancer due to hepatitis C infection. Liver Failure – If hepatitis C has caused cirrhosis and the patient has undergone no treatment, it will eventually lead to liver failure. Treatment options for hepatitis C include antiviral medications, lifestyle changes and liver transplantation with an aim to clear out the virus from the body. Since Hepatitis C can be silent for years, the treatment options opted by doctors depend on the extent of the disease. Antiviral medications are administered to clear hepatitis C infection. If the infection has not caused cirrhosis of the liver, medications are more likely to be the preferred treatment option. Along with the treatment with antiviral medicines, patients must also alter their lifestyle which includes completely abstaining from alcohol and tobacco. Cirrhosis is a serious complication caused due to untreated hepatitis C. In cases where hepatitis C cannot be cured with antiviral medications, liver transplantation becomes the only treatment option. However, antiviral medicines are still administered after a successful liver transplant to cure the virus completely. Getting liver transplant in India from one of the best liver transplant hospitals like Max Healthcare to make sure hepatitis C virus is completely removed from the body. HCV is a persistent virus with potentially deadly complications. It is essential to get screened for the condition to get timely treatment. Over the past few years, with the advent of medical sciences, antiviral medications have become more effective at treating the virus in its early stages. 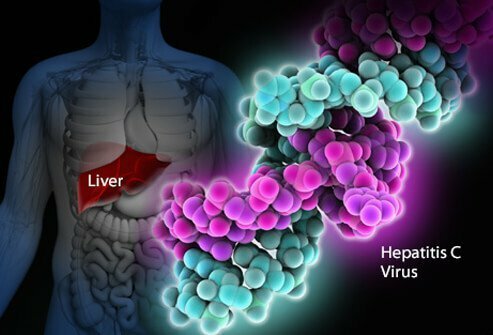 In case of advanced hepatitis C, only a liver transplant becomes a viable treatment option.